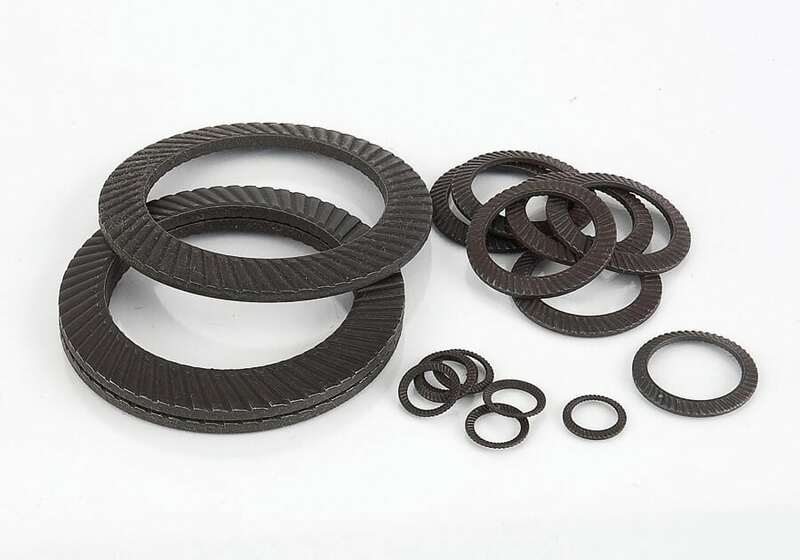 Serrated Disc Springs are similar to Bellevilles in shape and basic design, but provide the benefit of serrations on contact surfaces, offering additional grip against nuts or bolt heads. The serrations uniformly press against contact points, gripping them safely without damage. Ideal for pre-tensioning applications.